Global Special Effects will be an exhibitor at the 2018 International Association of Amusement Parks and Attractions (IAAPA) Attractions Expo in Orlando, Florida. The Expo will be held November 13 through November 16. The conference offers two different ways for attendees to learn about amusement parks, special effects, and more, and we’re thrilled to be part of it this year! The first of these two educational tracks is known as the classic seminar. Leaders in the amusement parks and attractions industry will speak on a wide variety of topics. In total, there will be more than 100 different seminars held across the four-day Expo. Expo attendees can obtain admission into any of these seminars for free by showing their valid Expo badge at the door. Nonmembers can easily purchase a pass to attend the seminars. Unlike the seminars, these experiences are priced separately and require a special ticket, and space in each is limited. This year, these learning experiences include the EDUTours of various Orlando attractions, learning luncheons, tours of the trade show floor, and a special learning experience for first-time buyers. You’ll find a number of different products and services available on the trade show floor. At the Global Special Effects booth, you can learn more about the various devices we offer and how they can be used to create amazing effects for events, films, attractions, and more. Whether you want a bubble machine for your wedding or need a foam machine for an independent film, we can help you. Our knowledgeable experts will be at our booth during the Expo to answer any questions you might have. The trade show floor will be open 10 am to 6 pm every day except for Friday the 16th, when the Expo will close at 4 pm. 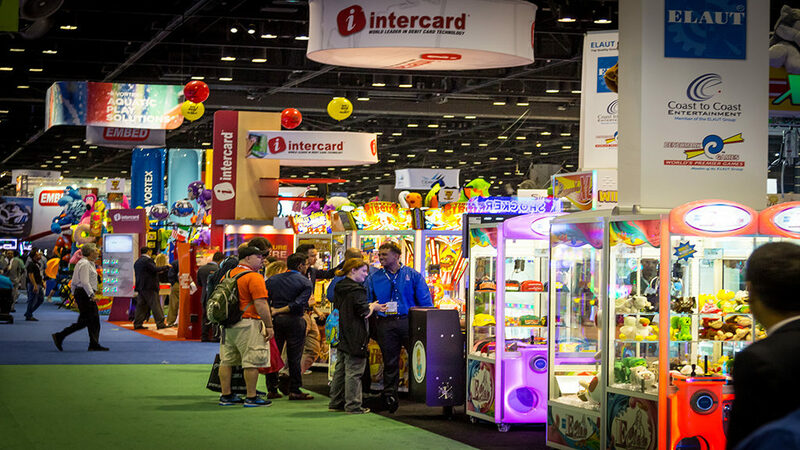 You can find out more about the Expo or register on the IAAPA website. Stop by and say hello to our representatives and learn about the various fog machines, confetti cannons, and other products Global Special Effects offers.